Now I have to admit, I used to not like Halloween, thought it was a good day to lock the doors, turn the lights off and let the dogs out. 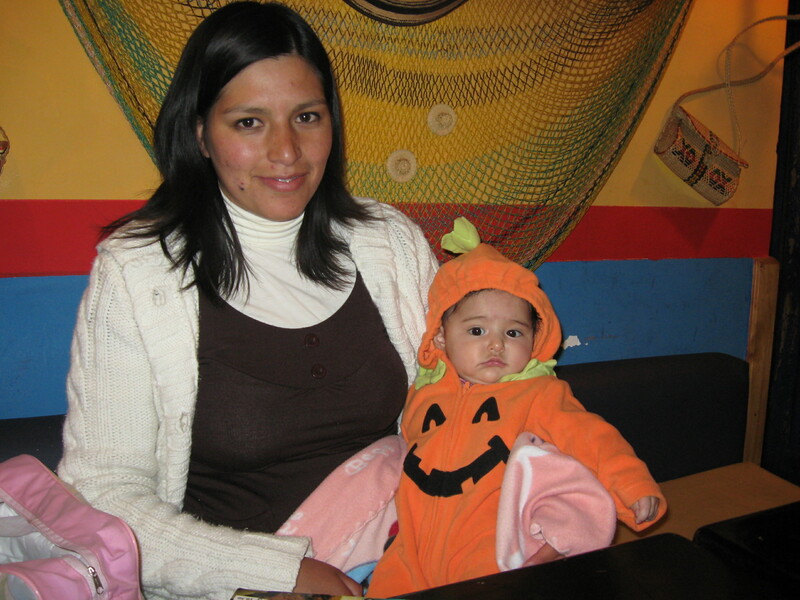 But that was long ago, now Halloween is one of my favorite holidays. 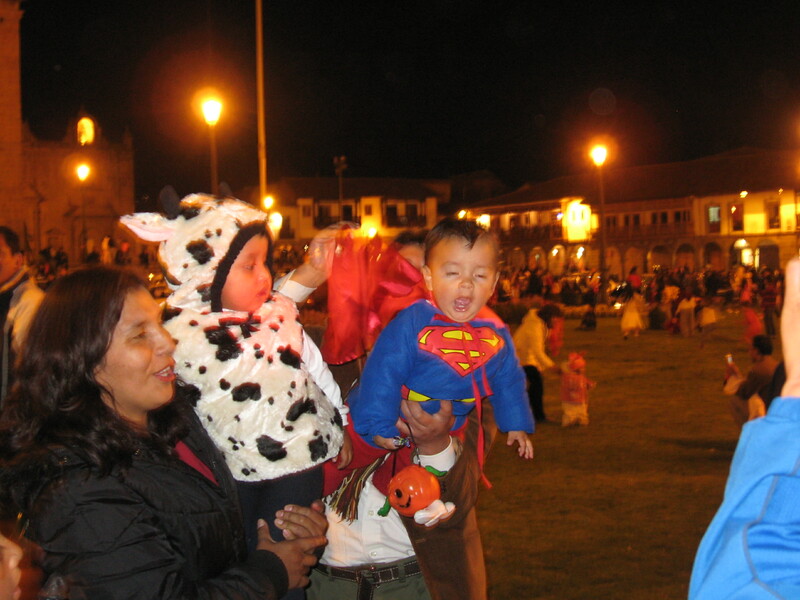 I don’t think Halloween is as big an event in Peru as in the US. 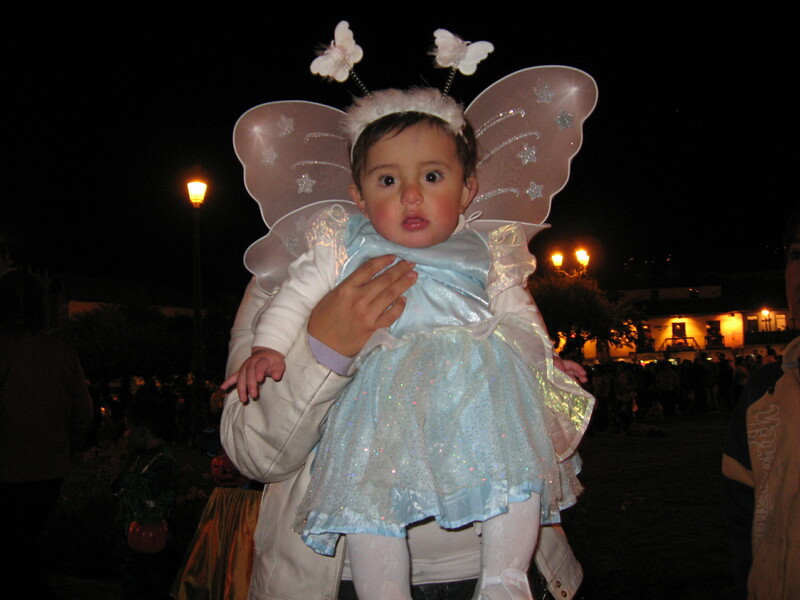 In regular neighborhoods, you don’t see many kids dressed up, and in typical Peruvian fashion (better later than earlier) most kids are buying masks in the afternoon on Oct 31 – not like in the States where Wal-Mart is full of Halloween costumes for the entire month of October. 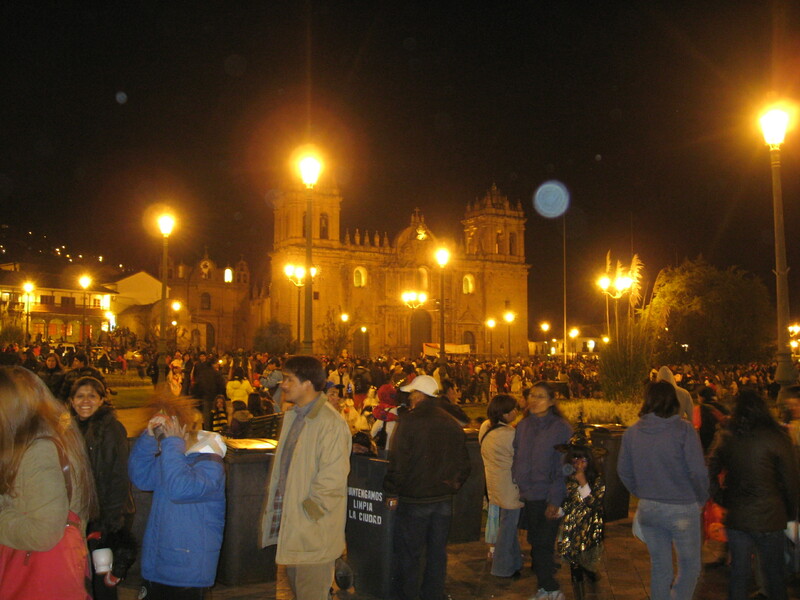 We went to the Plaza de Armas last night to check out the crowd and hand out candy. 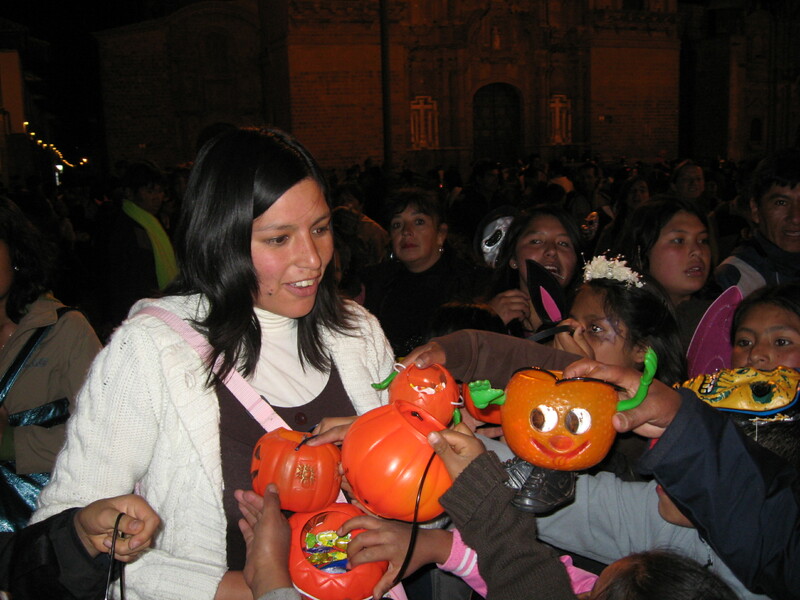 Peruvian kids don’t really go “trick-or-treating” like in the US, they just sort of walk up to you with a little plastic pumpkin and say “Halloween”. 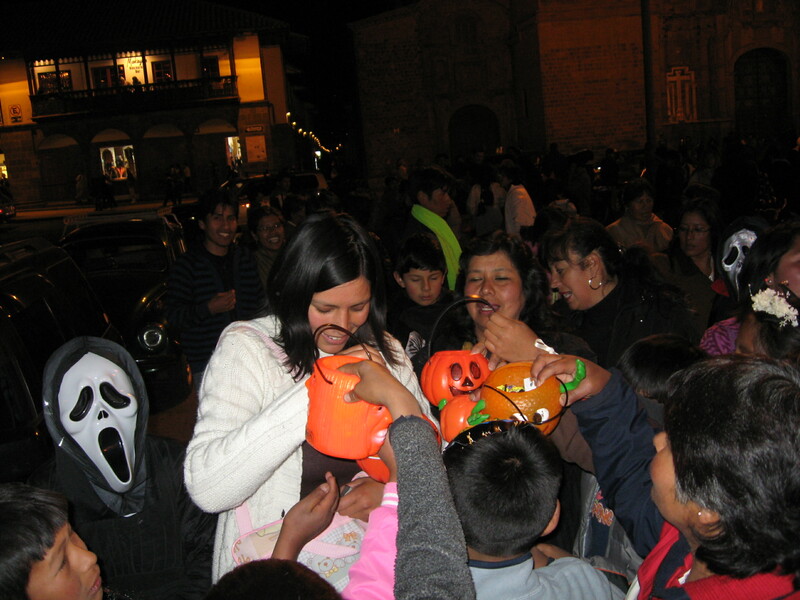 Patricia had warned me that we’d be mobbed as soon as kids noticed we had candy, and sure enough, we practically got run over by happy little ones, and sometimes their moms as well. One kid tried to come back a few times, and when Patricia noticed he said “that wasn’t me, that was my twin”. One day I’ll do a post on little white lies in Peru, they’re out of control at times and usually so obvious it’s plain funny. Al wie dat hoorde wou by hem zyn. “Och neen gy, dochter, neen gy niet! 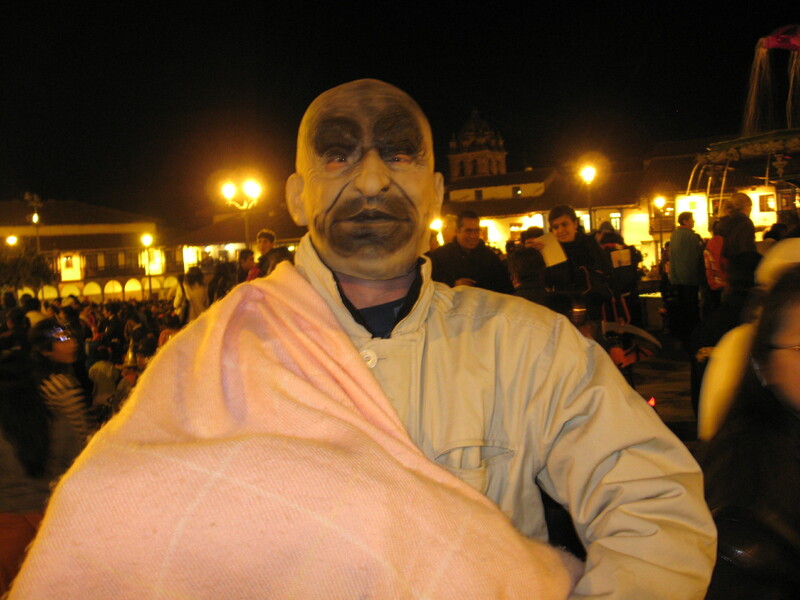 This entry was tagged culture, Cusco, Halloween, Heer Halewijn, history, Peru. Bookmark the permalink. 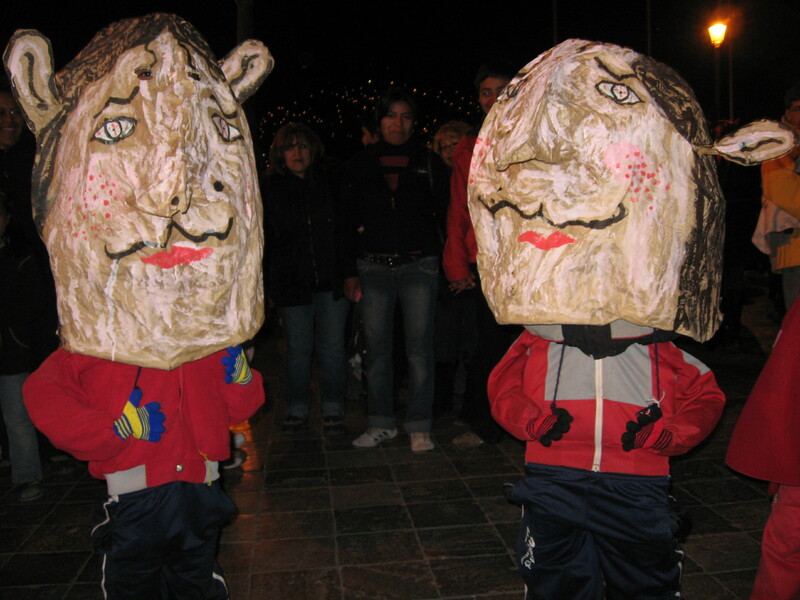 Excellent pictures about halloween in my city. 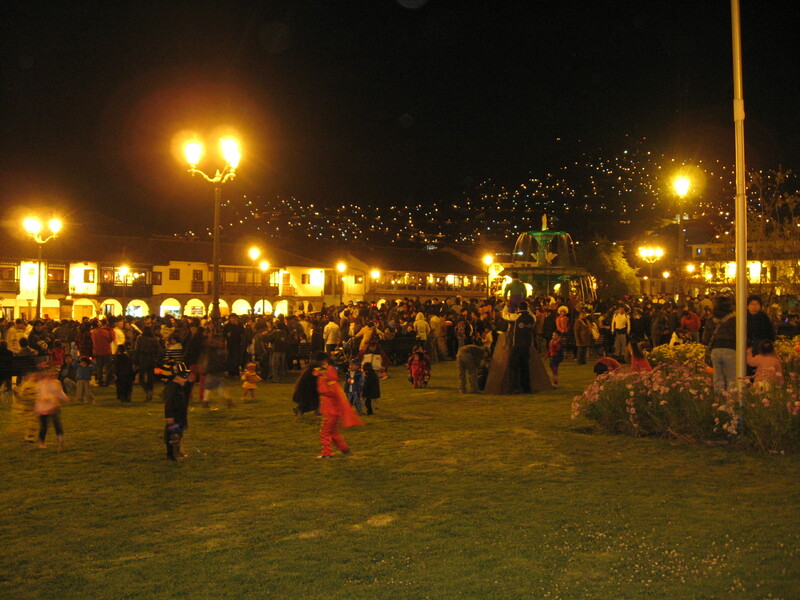 Cusco always celebrates halloween with parties and a lot cusqueña beer and candies.